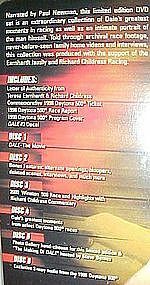 This is a 6 dvd set about the Life of Dale Earnhardt with tin collector box ,including look alike drivers licence and a 1998 commemorative ticket for Daytona 500. Letter of authenticity, Program cover, race report and a decal. This is a limited edition of 1,500,000. Narrated by Paul Newman. The tin box and original contents are still in their original shrink wrap. Tim measures 6" x 8" x 1 1/2" deep. Would make a great gift for the Nascar enthusiast who likes racing memorabilia. Nice little bone china plate by Healacraft, Made in England. 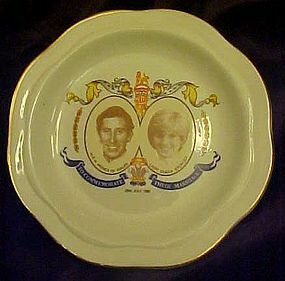 Commemorative 4 3/4" plate with gold trim featuring Prince Charles and Lady Diana Spencer, and their marriage on July 29th 1981. Excellent condition. 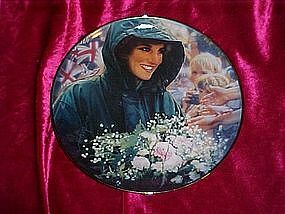 Another Beautiful plate from Franklin Mint, Diana, Princess of Wales collection by artist Drew Struzan. This one is titled "A Mother Above All" and depicts her with her two boys. 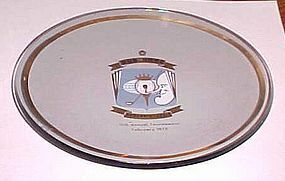 Plate measures a little over 8" in diameter and is hand numbered and trimmed in platinum. Original box and certificate of authenticity. I have others to this series, see my catalog. 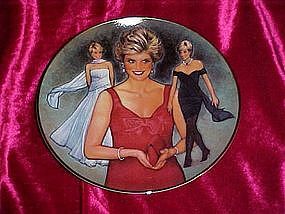 Another gorgeous plate from the Franklin Mint series, Diana, Princess of Wales collection. This one is titled "The peoples Princess. 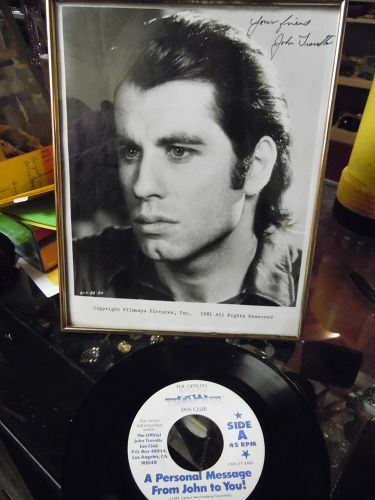 Measures over 8" in diameter.limited edition is hand numbered and trimmed in platinum. 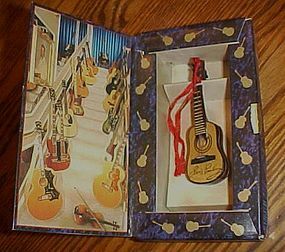 Comes in the original box with certificate of authenticity. By Artist Drew Struzan. Foam box is a little rough but plate and paperwork is in pristine condition. 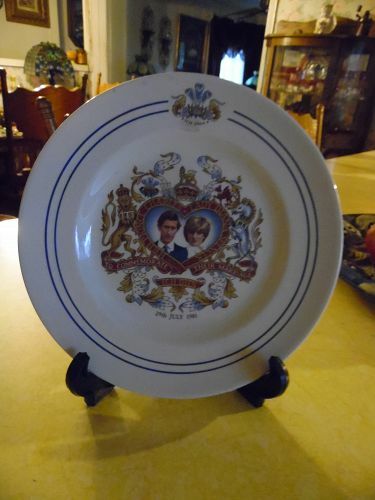 A most beautiful collector plate!! 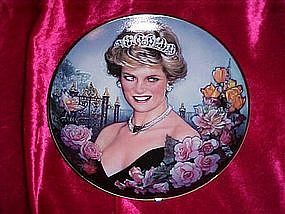 Beautiful plate issued by The Franklin Mint from the Diana, Princess of Wales collection, by artist Drew Struzan. Crafted of fine porcelain, hand numbered and trimmed in platinum. 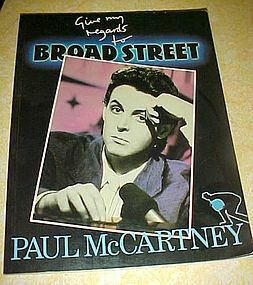 Comes with original box and certificate of authenticity. Foam box is a little rough but plate and certificates are pristine. 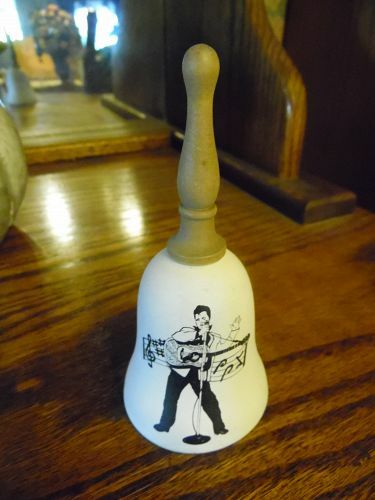 Even has the little plate stand intact. 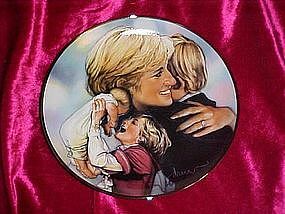 A lovely plate for that Princess Diana fan.